Quite a recruiting start in 2019 for coach Dan Muller and #Redbirds staff w/ Bloomington’s Chris Payton committed. 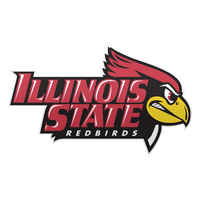 Who can ISU add to mix? Heck let's get them all! I worry that no matter how much we impress them, the commitments are becoming ever harder to nail down. As has been mentioned elsewhere, the P5 is taking the ball and running away with the 20-game conference slates and challenges amongst themselves. The reality is that short of a miracle season from end to end with no "off" nights, Arch Madness will be all that matters in the Valley going forward. 17-1 wasn't enough last year - and that was before Wichita left. D1 is better than high school juniors. I don’t know if, as a high schooler, I would be inclined to commit in a group setting like that. I feel like there would be pressure NOT to commit if nobody else did and would feel like I’m putting pressure on the others TO commit if I did commit. The recruits definitely had a good weekend to come though. Good weather, good parade, good tailgating, hoopfest, and a good football win. I think the most important part of all of this is that Muller coordinated a visit for so many players at the same time. This tells me that he has built successful relationships in the state and is creating good experiences for potential recruits and coaches. The signings from the right players should follow. no small feat just getting them on campus. The media benefit from having them visit together is in of itself valuable PR. Muller must really want this person badly if he has made five offers to him. DM has been a great high school player recruiter but has had big troubles retaining players.....especially his best ones. In all seriousness, hopefully he can use those same recruiting skills to do a much better job retaining his best players in the offseason. Either that, or perhaps try to understand which players are flight risks. If a player has a history of jumping around from AAU team to AAU team and high school team to high school team, then don't take the bait. If one player is not quite as talented as another player but you can tell they're going to want to be around for the long haul, I'd offer them even if they might be slightly less talented. This kid is Class of 019, so if he blows up his senior year we might need to make more than 5 offers. I'm curious to see if Muller can hang on to the current crop of Illinois recruits. Hopefully they develop into the types of players that P5 schools typically target for poaching, but end up sticking around in part due to the close-to-home convenience factor. If this UNI model works out and Milik/Tinsley/Bruninga/Chastain/Romine (assuming he comes back) pan out and graduate as Redbirds, we continue to take full advantage of being in a much more attractive town with a beautiful campus. I'm sure Muller will continue to take calculated risks on AAU tourists - and their entourages - but hopefully we've seen the last of the Zach Lofton class of puddle-jumpers. That is what i'm hoping for.